Synopsis: The fictional nation Panem consists of 13 districts, controlled by a capital city. The capital city, Capitol is the richest while the other 13 districts live in poverty, separated from one another. 74 years prior to the start of the book, District 13 rebelled against the Capitol, resulting in a long, bloody civil war. After District 13's defeat, the Capitol had decided that every year, as punishment for rebelling against them, one female and one male under the age of 18 from every district are randomly selected as Tributes to participate in a competition known as "The Hunger Games," where each of the 24 contestants battle to the death until one is left standing. On the eve of the 74th edition of the games, Katniss Everdeen, a resident of District 12, volunteers as Tribute after her sister was selected. During the games, the actions of both Katniss and her fellow Tribute, Peeta, set the stage of a revolution to overthrow Capitol with the other districts of Panem. Why did I pick this book? : Recommended by my sister. The Dystopia concept was new to me and I was interested in learning more about this genre of writing. My Favourite Part: The whole thing! I could not put this series down! The best part was that I did no prior research or had no idea what the Hunger Games was all about. The story was really unique and very adventurous, filled with questions of "what's going to happen next...?". 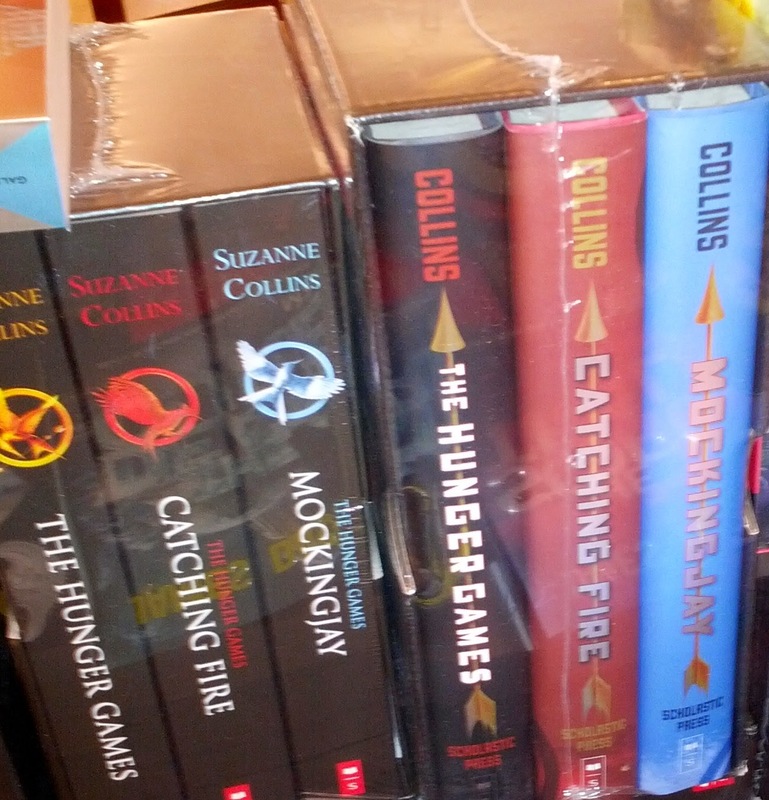 The Hunger Games may have been the basis for the whole story, but I enjoyed Catching Fire and Mockingjay the most. Lessons Learned: Making an annual event about killing others and putting citizens in constant fear is not the way to make others remember what was done in the past. There are many ways to remember our history (the good and bad) and educate the population in a more effective and less cutthroat way. Would I Recommend It? : YES! Suzzanne Collins style of writing is incredible. I love the amount of creativity and detail that has been put into this. I thought I wouldn't like it and here I am, writing a review on it! I really want to buy this series and keep it for my personal collection. How Would The Movie Do? : I've watched the first two movies and I'm eager to see Mockingjay Part 1. As always the movies are never fully true to the books. The books definitely have more detail, but they are still exciting to watch. Would I Read Other Books By This Author? : In a heartbeat!